Trust Auto has a wide selection of exceptional pre-owned vehicles to choose from, including this 2011 Honda Ridgeline 4x4 Crew Cab Pickup Truck. Your buying risks are reduced thanks to a CARFAX BuyBack Guarantee. 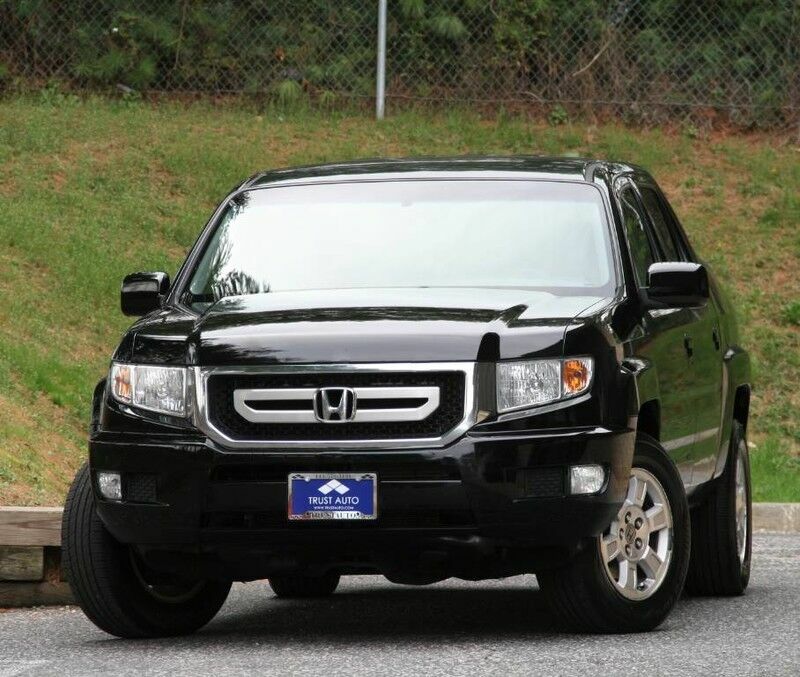 With CARFAX one owner report you can be sure that this Honda Ridgeline was only gently owned. Take home this Honda Ridgeline RTS, and you will have the power of 4WD. It's a great feature when you need to drive over tricky terrain or through inclement weather. All records are included with the purchase of this well-maintained pre-owned vehicle. More information about the 2011 Honda Ridgeline: The Honda Ridgeline is in a class of its own--it is the only truck in the full-size segment to use a closed-box frame and unit-body construction. It utilizes independent front and rear suspension, but features a relatively short bed and a car-like driving experience. The Ridgeline excels in 5-passenger comfort as well as decidedly better handling than many of its full-size rivals Interesting features of this model are payload and towing capacity, Comfortable ride, and extensive standard safety equipment *30 DAYS / 1000 MILES POWER-TRAIN WARRANTY INCLUDED (ENGINE, TRANSMISSION, DIFFERENTIALS)* *TRADE INS ARE WELCOME* Trust Auto is one of the top pre-owned vehicle dealer in Maryland. We provide quality vehicles of various makes and models with the most competitive prices in the region. Trust Auto is dedicated to make your vehicle shopping experience hassle free and straight forward. With that in mind we fully inspect, service and detail all cars in the lot. We are open 6 days a week now FOR YOU!!! Monday - Saturday 9am - 7pm. Some vehicle information and pricing may be unintentionally missing or inaccurate, and Trust Auto will endeavor to correct such discrepancies in a commercially reasonable manner after being notified of any errors. Pricing errors and listing errors are considered invalid and may not be honored at the sole discretion of Trust Auto. Prices subject to change without notice and do not include Title, License, Registration Fees, State or Local Taxes, $895 PDI & $299 Dealer Processing Fees. Please contact seller for vehicle availability. All vehicles with PDI are sold with a 30 day / 1,000 mile warranty! EPA mileage estimates are provided for comparison purposes only. Actual mileage may vary depending on driving conditions, driving habits, and vehicle maintenance. Mileage listings are estimates and are not necessarily accurate odometer readings.